Welcome to my stop along the blog tour for The Cat King of Havana by Tom Crosshill! This book sounds like SO much fun! Rick is a major lover of cat videos. Seriously. He even gets dumped for it! So what better way to celebrate the release of this awesome 2016 debut than by sharing a few of my favorite cat videos with you? I’ve spent thousands of hours of my life watching cat videos online, so the hardest thing about this was narrowing the list down to these. After you’re done playing and replaying these adorable videos, read more about the book and enter to win a copy of your own! Which of these videos do you love the most? Link me to any others you think I need to see! Tom Crosshill’s fiction has been nominated for the Nebula Award (thrice) as well as the Latvian Annual Literature Award. His stories have appeared in venues such as Clarkesworld, Beneath Ceaseless Skies and Lightspeed. In 2009, he won the Writers of the Future contest. After some years spent in Oregon and New York, he currently lives in his native Latvia. In the past, he has operated a nuclear reactor, translated books and worked in a zinc mine, among other things. 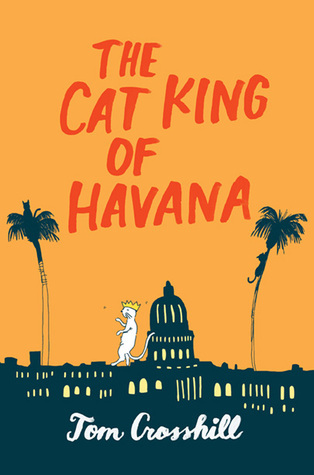 Tom’s young adult novel “The Cat King of Havana” is forthcoming from Katherine Tegen Books (HarperCollins) in 2016. I’ve seen most of these, but not the cat watching the horror movie–this one is the best! Bahaha. It’s so hilarious! I can’t tell you how many times I’ve watched it! You pretty can never go wrong with a cat video.